The crystal structure, phase transitions, and exchange bias (EB) in Al-doped Ni50Mn36Sn14-xAlx Heusler alloys were investigated. With the increase of Al content, the cell volume decreases gradually, and the martensitic transformation temperature shifts to a higher temperature. 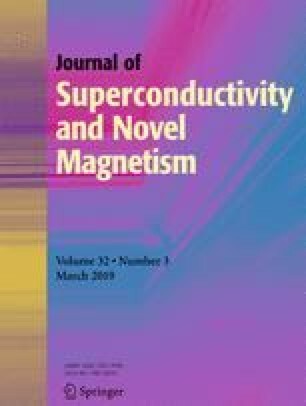 Due to the positive “chemical pressure” by Al substitution, the antiferromagnetic interaction strengthens, leading to the decrease of magnetization and the ground state evolution from “reentrant” spin glass to spin glass. Zero-field-cooled EB is triggered in samples exhibiting spin-glass ground state. These results suggest a viable way to design Ni-Mn-Z-based alloys showing zero-field-cooled EB by tuning the exchange interactions and ground state via lattice modulation. This work was supported by National Natural Science Foundation of China (51371004, 61604021, and U1832147), Natural Science Foundation of Jiangsu Educational Department (15KJA430001 and 16KJA150007).